20 years from launch, Audi finally puts together an Isle of Man TT drive - rejoice! You'd be forgiven for thinking PH has gone a little mad; after all, there's nothing different about this Audi TT to any other Mk3 Audi TT. How can a facelift drive on the Isle of Man be justified when absolutely not a thing has changed? There are more extensive changes for the sportster's spruce-up underneath. 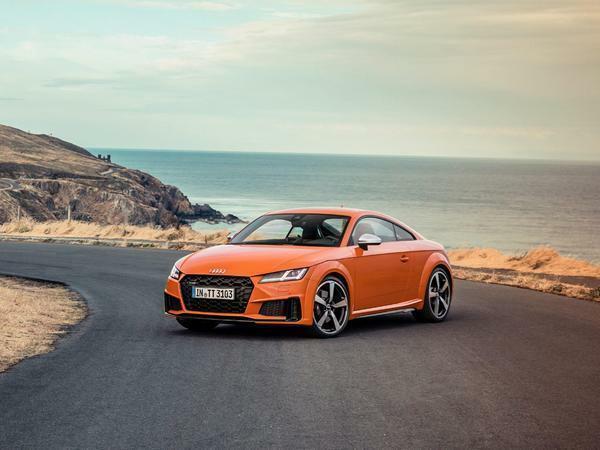 Following the recently announced Golf R changes, the TT S hits enthusiasts with a double whammy of disappointment: a petrol particulate filter means less power (albeit only by 4hp), while a dual-clutch auto is now the only gearbox option. In a sliver of good news, the previous six-speed has been replaced by a newer seven-speed transmission. 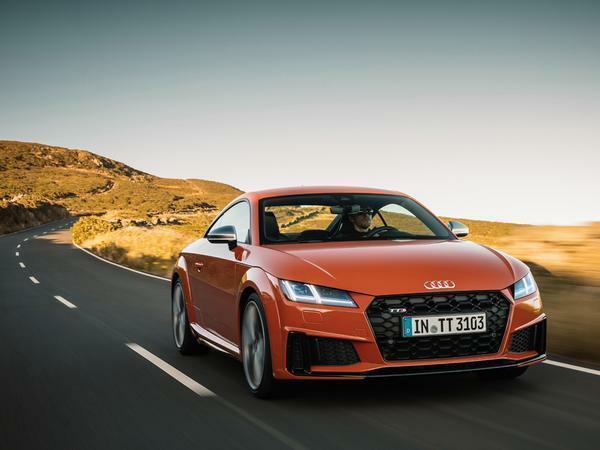 Combine that with 15lb ft more torque than before (now 295lb ft), and the TT S is faster than ever - remember when the very fastest supercars hit 62mph in 4.5 seconds? Patently this is not a night and day overhaul for Audi's perennial coupe then. That said, if somebody offered a chance to experience the Isle of Man's Mountain section - entirely close to other traffic - then mode of transport is a redundant question. A £45k Audi would be nice; crawling it on your hands and knees would probably be cool as well. 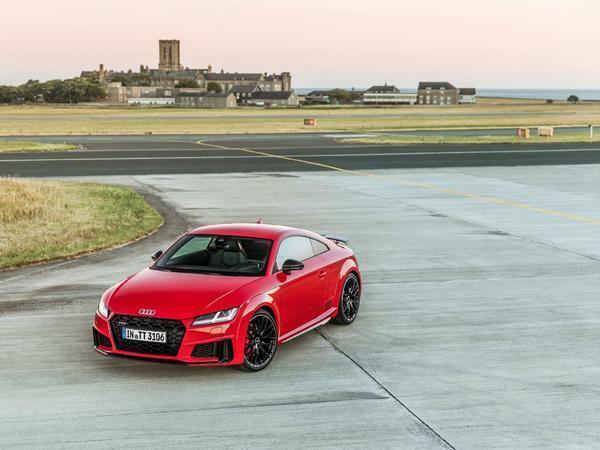 As the TT always has been (at least since that slight whoopsie with the lift off oversteer in the late 90s), it isn't a threatening car to drive very, very fast. The traction, grip and composure feel near absolute, with the car immediately putting the driver at ease. Handy when corner apex can't be seen, let alone the exit. Can you notice the missing four horsepower? No. Can you detect the additional torque? Of course not. 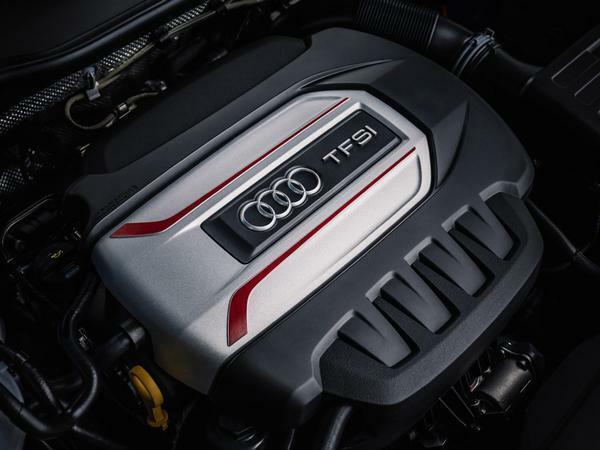 This facelifted TT S, like the last TT S - and indeed most other vehicles with this EA888 engine - feels decently potent, at least as willing as any comparable engine and, rather less endearingly, still sounds like a very iffy five-cylinder karaoke act. There is a noticeable difference in the gearbox, though. The seven-speed gearbox feels quicker to shift than the old six-speed (from memory, at least), with better response from the paddles and greater acceptance of last minute downshifts. Is the manual missed? Yes. Is there much cause for complaint in this DSG? No. 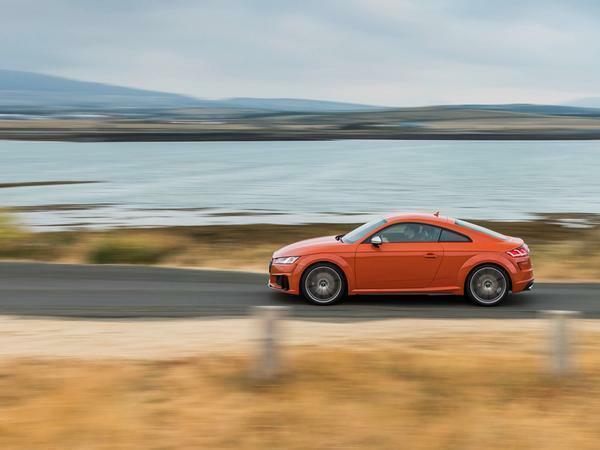 With roads reopened (though of course the island's derestricted tarmac still readily available), there's more time, and less pressure, to focus on the TT's other dynamic attributes. It's worth noting that the TT S comes as standard now with magnetorheological dampers, plus all the test cars were on the 20-inch wheels (19s are standard on the TT S, with 20s fitted to the TT S Black Edition; as we'll see, that's another reason to avoid it). First point of note is the general feeling of nimbleness that's present in a TT. It's not a flighty or super agile sports car, but it is a pretty light one: 1,460kg with an EU driver is 100kg less a BMW M240i. The TT feels compact and squat on all the Isle of Man's roads, even the more testing and tight B-roads. As cars balloon in size, there's a lot to be said for one that's less than 1,500kg and actually small as well. Unfortunately, the same issues persist with the TT - fickle though they probably sound to the vast majority. Even with the magnetic dampers at their most accommodating, the ride never feels anything less than fidgety, every imperfection abruptly dealt with and the sense of restlessness never abating. Dynamic is as you might expect, too. Certainly it would be worth trying the 19-inch wheels to see what improvement they make. Given the TT's ongoing success, it almost seems somewhat churlish to criticise its dynamic shortcomings, when clearly buyers are content. But we care about these things, and hopefully you do too - when customers must be lured from Porsche Caymans and BMW M2s, they should certainly be a factor. 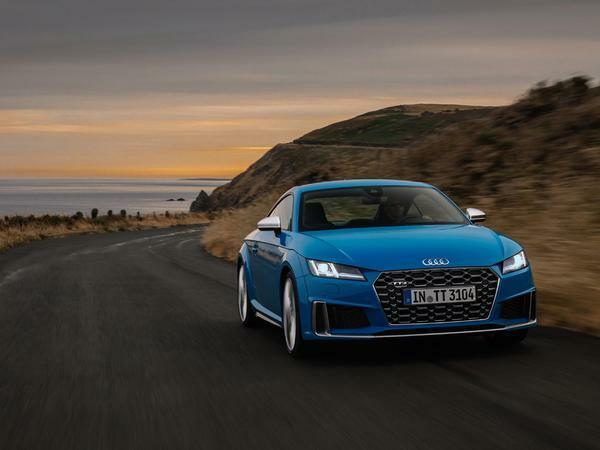 So broadly capable and dynamically assured as the TT S is, to still find a car equipped with overservoed brakes, numb steering and a general sense of detachment is frustrating, especially as a sports car. It's all the more irksome when you consider what else has been spawned from the MQB architecture: cars as richly rewarding as the Golf Clubsport S, or rabidly exciting as the Leon Cupra Ultimate. 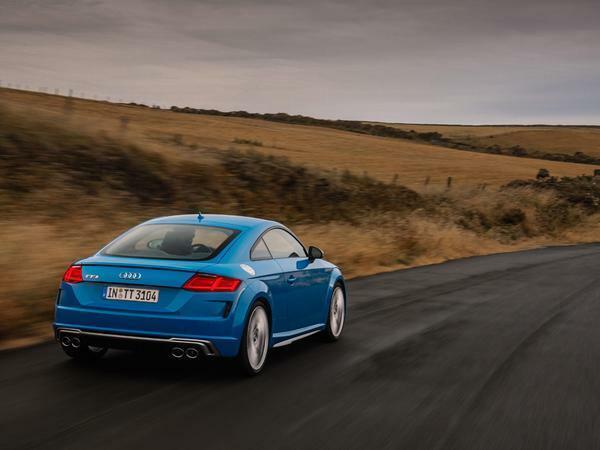 The TT is no slower than any of those cars, yet it's not as memorable to drive - which still feels interminably odd as it remains the more expensive and ostensibly more sporty option. Therefore even with somewhere as fabulous to drive Isle of Man, the model's inherent aloofness makes you less inclined to explore, which is a familiar story, but also a significant demerit in the context of what ought to be a proper driver's car. 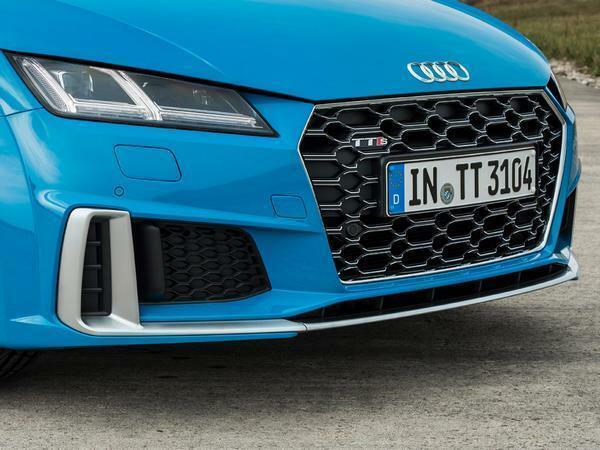 It's made all the more frustrating by the thought that with a few tweaks to the tuning, the TT might be made to better appease the enthusiast without upsetting those who enjoy the car already. 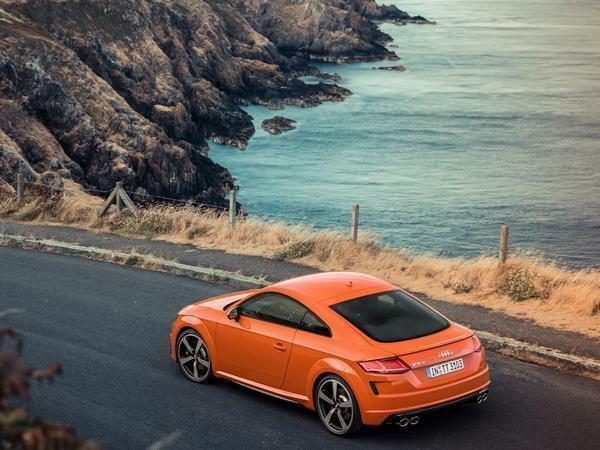 As a result (and unsurprisingly) the Audi is left where it always has been, as a stylish and accomplished sports coupe that offers precious little to those who enjoy driving for its own sake. Will those 600,000 who have bought TTs over the past 20 years care? Of course not. But if you're sat on our side of the fence, you will continue to be better served by the car's immediate rivals. Crappy, flabby, car driven on Monas Isle's best. Shome mishtake surely? Rented one of these recently for a trip abroad that required close to 800km of driving. I'd echo the writer's sentiment. It's rapid, comfortable, offers some feedback but ultimately lacks that last 1/3 of driver involvement. At higher speeds the front end got all bouncy and the steering very light. It does not instill confidence when pushing on. Choose between tthe TTS and an M240i both Manual and I choose the M240i. More fun. Felt nicer and nearly new cheaper by some way. Couldn't justify the sky high pricing of the TTS. Even worse if all they are selling it with is the Manual. Mind there are no new M240i Manuals at the moment either. Looks like I'm after a M2 or 440i with M-Sport pack in two years time. Hmm, would you pay a plastic surgeon for a facelift like this? It's barely a make-over. Bring back the coarsely stitched ambiguous cowboy hide seats of the original I say! Yee Ha! I like our TTS but boy are they getting pricey. How does Audi justify a price hike from £38,900 to an estimated £45,000 in these low inflation times? Lack of a manual gearbox is a pity too.